Oooh new classic rock opening. Yes, I’ve always been a sucker for Supernatural’s sound track. Before the hiatus, Sam had very unwisely decided to follow his dreams and ended up locked in Hell with Lucifer. Silly silly boy. While Dean has a front row seat to seeing the Darkness and God have the ultimate sibling squabble. Now there’s a huge zone of scary angelic fallout (which is actually a kind of awesome concept – and a nice twist on what happened to Lot’s wife) which makes Dean sick – so it’s Castiel who has to go investigate to see if Amarra is dead and nuked or not. On the way he meets Ambrielle, an angel sent to do the same. Ambrielle has about 10 minutes of screen time in which I completely love her – I love her naïve ignorance of the world that makes even Castiel roll his eyes, even while she has a brutal knowledge of her role (the expendable one) and still finds pride and honour in knowing she’s NOT important but still has a job to do. I like her, I like her a lot – and then she dies (after planting the seeds of angst in Castiel’s head before reporting to her fridge) adding another woman of colour to the show’s death list. Amarra is, unsurprisingly, not dead (Castiel also implies the super nuke wasn’t god – it was an angel weapon) and after duly mocking Castiel trying to kill her with a knife, she sends him buzzing after Dean (he has far too much plot armour to be killed. Also if this show kills Castiel fandom’s collected fury might actually herald the apocalypse. The writer of that episode will never sleep peacefully again). Meanwhile in hell we’re treated to a truly horrifying dream involving Rowena in reindeer antlers and Crowley in Christmas pyjamas. Some very very very sick person wrote this episode. Anyway the weird weird weird dreams reveal that Rowena has been working for Lucifer all along, she’s after the power and she, somewhat reasonably, thinks that he’s really the only chance they have against the Darkness. She also rather nicely counters Crowley’s claim of kingdom – after all, Hell must be Lucifer’s domain first. Through threats and her plan to be Lucifer’s queen she manages to avoid being murdered by Crowley who tries to convince her that this is a terribad idea. While in the satan cage, Lucifer takes Sam on a trip down memory lane to try and convince him to say yes to possession. Rather neatly this draws upon the underlying theme of this season – the moral quandary of the Winchesters. This includes Sam “getting soft” this season – being focused more on saving people and less on being ruthless and willing to sacrifice (this season seems to be the one where Sam, at least, is trying to pull back from the all death all the time focus of the last few seasons) and also the biggie – that the Winchesters are constantly willing to let the world burn for the sake of each other. How many times have we seen this truth? 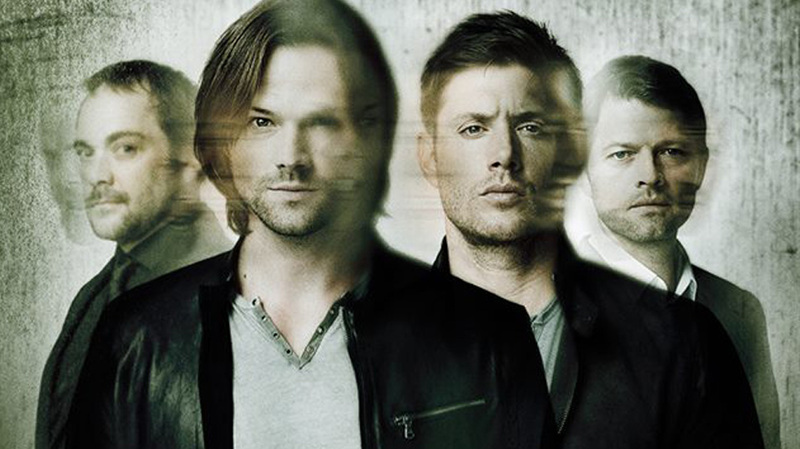 If the choice is the world or their brother, Dean and Sam will always choose their brother (interestingly Lucifer links this to Sam’s refusal to look for Dean when he was in Purgatory – in effect, Sam’s devotion to Dean isn’t the same as Dean’s overwhelming desperate obsession, but out of an overwhelming sense of guilt and a need to atone. Perhaps even a need to prove to Dean that he does care as much as him – trying to live up to his brother’s unhealthy attachment). His basic argument is not just that Lucifer has the power to stop the Darkness – but that also old Sam wouldn’t hesitate to sacrifice himself for the greater good AND that new Sam can’t fight the Darkness if it may mean sacrificing Dean. It’s both a guilt trip and an appeal to recognise Sam’s own weakness. And Sam… doesn’t buy it. In a shocking display of common sense, Sam sidesteps all the accurate, but dubious, moral manipulation and points out some harsh reality. It took God and 4 Archangels to kill the Darkness before – 2 of the Archangels are dead, god is missing and Michael is apparently Not Doing Well. Lucifer alone doesn’t cut it. And if he did? The Darkness consumes the world and/or Lucifer unleashes the apocalypse? That’s kind of a lose/lose situation. + 100 points for excellent reasoning Sam – and keeping these interesting moral quandaries around. Of course this is when Castiel and Dean (after he and Crowley rather cunningly outwit Rowena after a brief cameo from Billie the Reaper who is Done with Them and very likely to die very soon). Since they have a compulsion on Rowena they’re forcing her to cast a spell to put Lucifer back in his box. To keep Lucifer busy, Castiel and Dean pile in to be thoroughly beaten by the Archangel while he tries to convince Sam to say yes to possession before they make their escape. The good guys are saved but still don’t have a huge clue what to do with the Darkness. The Winchester brother’s leave Rowena and Crowley in hell – and we actually get some really really excellent beginning of development for Rowena and why she hates her son so much, how he reminds her of terrible events in her past, how badly she was hurt and how she clings to hatred of him because she can’t afford to love him since love is a weakness (which, even in the time we’ve seen her, has only been reinforced). Ambrielle did a number with her little “we’re expendable” line (though it has to be said Castiel is the nuke in the Winchester’s pocket which is why the writers are constantly trying to find reasons to bench him so he doesn’t just make the Winchesters obsolete – witness this storyline for example). Couypled with his own epic self-hate (and that Ambrielle greeted him with fear because he has a reputation, not unearned, of killing angels). So drowning in guilt and self-hatred and lack of self-worth (all lampshaded by Amarra’s mind reading), Castiel says “yes” to Lucifer. I cringe, but I can see it – not only because of his own martyrdom need – but this would save Sam and Dean from Lucifer’s wrath, Sam from possession and give them a chance to bring down Amarra without sacrificing Sam. Castiel is now Lucifer… I’m not sure if he can pull it off, to be honest, or if I’m so used to seeing Castiel as Castiel that the actor playing a different role is just jarring. Of course this really does make Ambrielle’s death a fridging – since she showed up and died just to make his later martyrdom understandable. And this annoys – they introduced some development of Rowena, finally giving some greater insight into her history and humanity beyond being the (admittedly rather awesome) cunning manipulator with the terribad evil magic and the avatar of all of Castiel’s mummy issues and then they kill her off. They tease some actual development of her, some actual growth and she’s thrown on the rubbish heap.